If you’re looking for help or just want to know how things work, you may find it on this page. 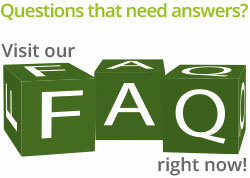 We’ve compiled a list of the most commonly asked questions regarding the services we provide, along with a clear, detailed explanation to give you the answer that you need. The easiest way to book a psychic reading is to register as a member for free and make a purchase as a new customer. We accept all major credit cards and debit cards. We will charge your credit card only for the amount you specify for your reading. How long is a psychic reading? The length of a psychic reading is completely up to you. It depends on the number and complexity of the questions you ask. The average length of a reading is 15-20 minutes. Can I choose the psychic I speak with? Of course! You can choose who you would like to speak to by selecting your desired psychic’s profile and following the online prompts via the on-line booking page, or call us on 0207 111 6311 and our live receptionists will connect you to a psychic that matches your requirements. Please note that calls to this number cost 1.50 per min plus your phone provider’s access charge. 18+ years only. Our psychics are individually selected and thoroughly tested for accuracy, professionalism and their desire to help you. We pride ourselves on the quality and proficiency that our psychics provide to our customers. Can a psychic reader tell me exactly what’s going to happen? A good psychic can spiritually tune into your past and help you connect with your own power to plant your feet firmly on the path to your destiny. Contrary to common belief, psychics don’t design your future – they simply help you fulfil your potential through accurate guidance of a divine nature. Whether their promise is filled lies entirely in your hands, and in the choices you make. Is there anything a psychic reader can’t talk about? For legal reasons, psychics are not allowed to talk about anything related to health, legal or financial matters. We urge you, if you need guidance in these areas, to seek professional help. How can I find the right psychic for me? All of our psychics have different styles and specialise in different areas. Feel free to browse through each of our psychics’ individual profiles to find the psychic reader you feel is best for you! Where are your psychic readers located? Our psychic reach spans the globe, and at Clairvoyant.co our psychics are based throughout the world including the UK, Australia and the USA. Each psychic has a unique way of giving a reading. These are known as psychic abilities and they include; Clairvoyance, Mediumship, Clairsentience, and Clairaudience. Our ‘Psychic Categories’ allow you to find a reader that can provide an accurate reading that meets your needs. Our psychic readers boast an array of skills and tools to help them provide an accurate reading for your time and again. These tools can range from tarot cards to crystals, and all can help your psychic reader to provide the most accurate reading possible, and give you the ultimate psychic experience. What if I’m not satisfied with my psychic reading? On the rare occasion that you may feel dissatisfied with our services please feel free to contact us. We handle thousands of readings and rarely get queries but can assure you that each one is thoroughly looked into, to help us maintain the highest standards of service. To help us by giving us feedback about your psychic reading, please send us an email. I’m a psychic, how can I apply to feature on your website? If you think you have what it takes to join our esteemed team of psychics we would love to hear from you! All we ask is that you complete an application form.